As is the case in so many parts of Spain, the history of Jumilla reveals the influences of the many different civilizations and cultures which have been present in the municipality ever since the first human activity here, and shows how, from the cave paintings of pre-history to the 21st century town we know today, the story is one of a struggle for survival and prosperity. That relative prosperity was eventually achieved is largely due to the importance of wine in the local economy, but the growth of this sector has occurred only in the last 150 years or so, and prior to that a wealth of historical and cultural heritage accumulated as the legacy of those who lived here in the preceding centuries and millennia. The remains of the first human settlement so far found in the area go back to the Lower Paleolithic Era, approximately 450,000 years ago, and are located in the area known as El Cerco or Fuente Principal. This site is close to a spring, which would have been one of the reasons why it was chosen, and evidence has been found here of stone-working, including tools for shaping and flattening stone blades. On the same spot there are also artefacts which show that there was stone-working activity in the Middle and Upper Paleolithic, about 80,000 years ago, and all of this points to the fact that El Cerco was an important site for Paleolithic Man in the area of Jumilla. Later on, the Epipaleolithic Era marked the transition from the hunter-gatherer lifestyle of the Paleolithic to the crop farming and cattle rearing existence of the Neoilithic, and from this period there is evidence of three different types of settlement which can be classified by the locations where they have been found. Firstly, there were inhabitants on the plain, in the place now known as La Borracha, two kilometres from the modern-day town of Jumilla. Here a number of flint artefacts have been found, including chisels, sickle blades and items of personal decoration. There were also settlers in the mountains - in the Sierra de Santa Ana objects similar to those in La Borracha have been found, alongside knives and bradawls – and lastly, there were cave-dwellers and those who sought shelter in rocky outcrops. 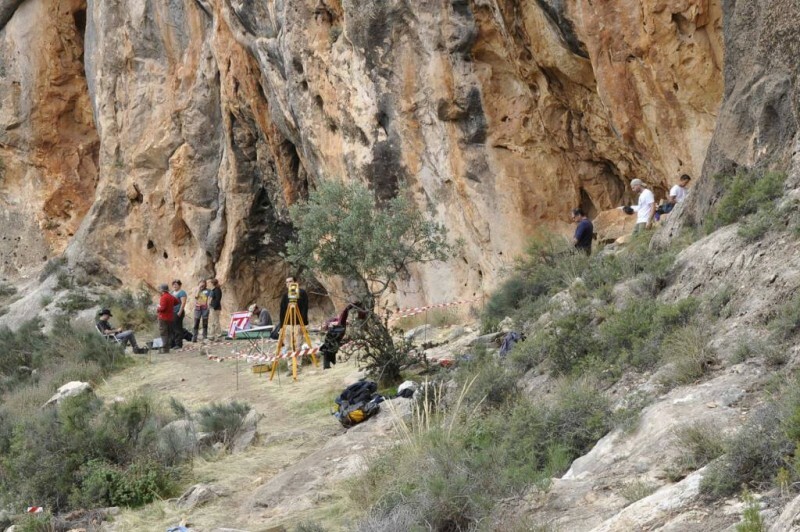 Some of the findings of most interest to archaeologists and paleontologists in Jumilla have been discovered in these caves, including examples of prehistoric art, the most important of which are in the rocks of Buen Aire, the area of Rincón del Buen Aire, and El Peliciego, in the Sierra de las Grajas. All of these are included in the paintings of the Mediterranean coastal area which were declared a part of World Heritage by UNESCO in 1998. Both of the two main styles of Mediterranean cave painting can be seen in the sites of Jumilla: the Levante style, largely naturalistic, and the schematic style. Currently the main priorities are to preserve the paintings and the area around them and to make the areas more accessible to the general public in order to increase awareness of the treasures in the countryside around the town. During the Neolithic Age (also known as the New Stone Age) human society became definitively more agricultural in nature, and the production of materials became more specialized. Polished stones and ceramics made their appearance, and from the Eneolithic Age there are the remains of a settlement at El Prado, just three kilometres from modern Jumilla. The evidence found suggests that the settlement was home to around 300 people who lived in small huts made from reeds and adobe, supported by a central pillar. The ceramics produced by these inhabitants were made from a mix of mud and “jumillita”, a type of phosphate mineral found only in the area of Jumilla, and within the settlement the remains have been found of vines which were grown around 5,000 years ago: it is therefore with some justification that the modern-day wineries in Jumilla boast that they are carrying on a tradition which dates back at least five millennia!. 3.5 kilometres from Jumilla is the Cueva de los Tiestos, which was considered a holy place by the inhabitants of Jumilla at that time. Here archaeologists have uncovered graves where the bodies were interred in foetal position, the intention presumably being that they should be prepared to enter the next life in the same way as they entered this one. 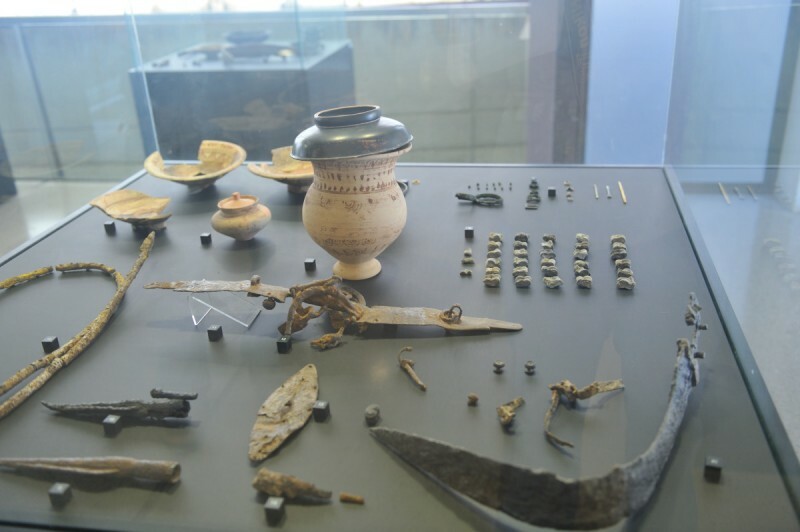 The deceased were accompanied by a rich array of grave goods, including the tools they had used during their lives, and some of these remains can be seen in the Museo Arqueológico de Jumilla, which has an excellent collection of artifacts recovered from sites around the municipality. During the Bronze Age (1900-900 BC) there are known to have been a relatively large number of settlements in the area of Jumilla, most of them located on the brows of small hills to make them easier to defend and containing a chaotic and seemingly anarchic layout of houses. There was a strong rivalry among neigbouring towns, and they were therefore fortified with as many as three concentric walls. Among the most representative sites of this period are those at El Cerrico Redondo, El Portichuelo, Los Conejos and, most especially, Coimbra de la Buitrera: this is the only one which remained inhabited until the Iron Age (9th to 6th centuries BC). The main Iberian archaeological site in Jumilla is the one at Coimbra del Barranco Ancho, and when it was discovered it meant a great leap forward in the study of the Iberian culture both in Jumilla and in the Region of Murcia as a whole. Coimbra del Barranco Ancho lies 4.5 km to the south of the modern-day town of Jumilla, and can be described as the first true urban centre in the area. In strategic terms it occupies an advantageous location, looking out over a wide swathe of territory and with easy access to natural communications routes. Within the town, whose heyday was between the 4th and 2nd centuries BC, there were three burial grounds, a holy place and the residential area. Two defensive walls surrounded it, and entry was by a gate which had a tower on each side. The houses were organized in blocks, separated by streets, and the inhabitants lived from the crops they farmed and the cattle they tended. One of the most important Iberian sculptures found in the Region of Murcia was discovered in Coimbra del Barranco Ancho, namely a tombstone which is now on display in the Museo Arqueológico “Jerónimo Molina”. 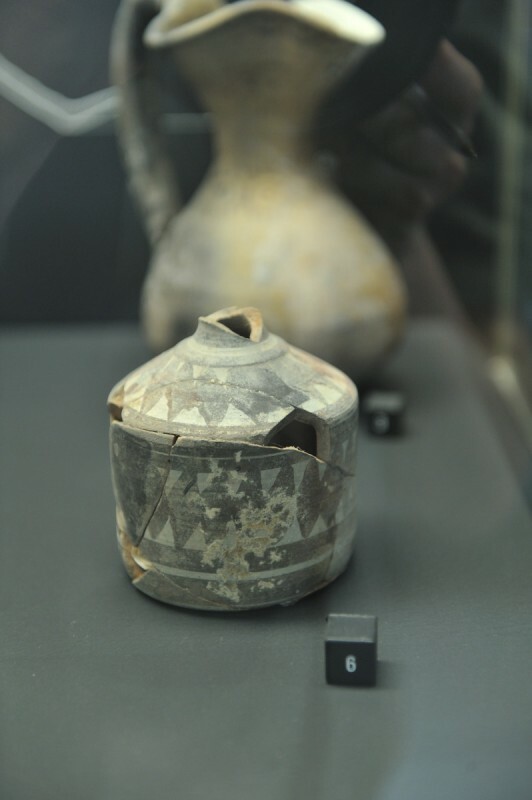 It is also significant that among the items found at Coimbra del Barranco Ancho are various Greek amphorae for storing wine, as this demonstrates that wine played an important role in life in Jumilla during the occupation by the Iberians. It also illustrates that the Iberian tribe occupying this settlement were in contact with traders who plied the Mediterranean coastline, exchanging raw materials for finished trade goods produced in other areas of the Mediterranean basin. These items were viewed very much as luxury goods and would have belonged to the élite members of Iberian society. 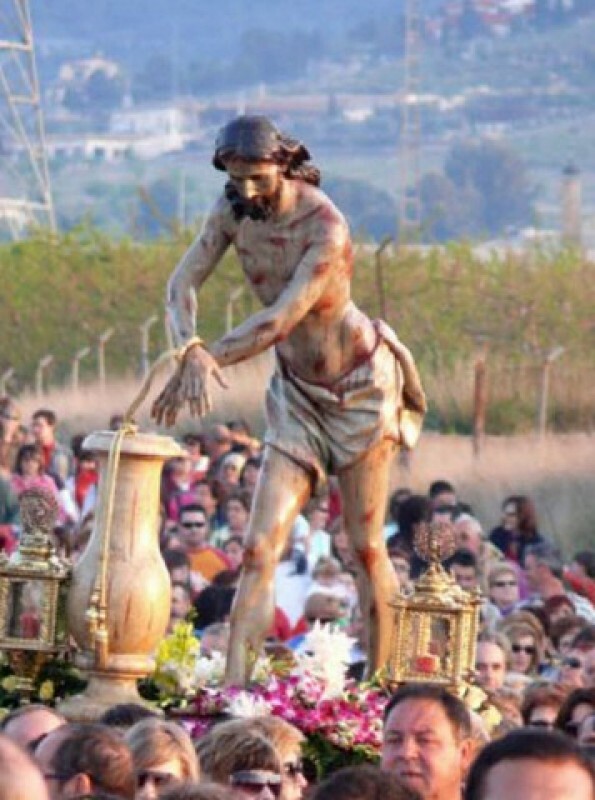 Click to read more about the Iberians in the Murcia Region; who they were, how they lived and how they buried their dead. In the 3rd century BC the Carthaginians, who ruled over most of the south-east of the peninsula and a large part of the eastern coast, asked the native Iberians for help in their struggle against the troops of the Roman Empire, who were waging the Second Punic War against the Carthaginian strongholds. Despite the support lent to Hannibal and the Carthaginian army, however, the Punic Empire eventually fell to the Romans, and many native settlements were destroyed in retribution for their support of the Carthaginians. 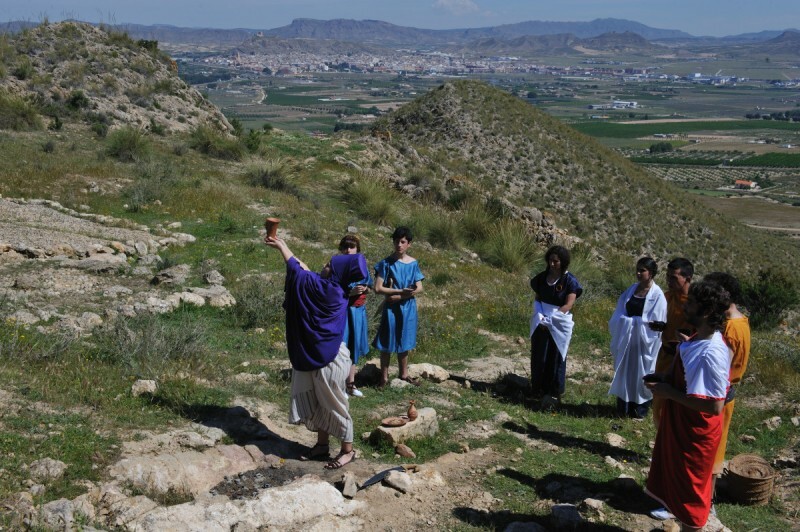 Like the rest of the area, Jumilla was now subsumed into the Roman Empire, and the crops were farmed in rectangular fields which were awarded to the Roman legionnaires in a system of land distribution known as “centuriazation”. 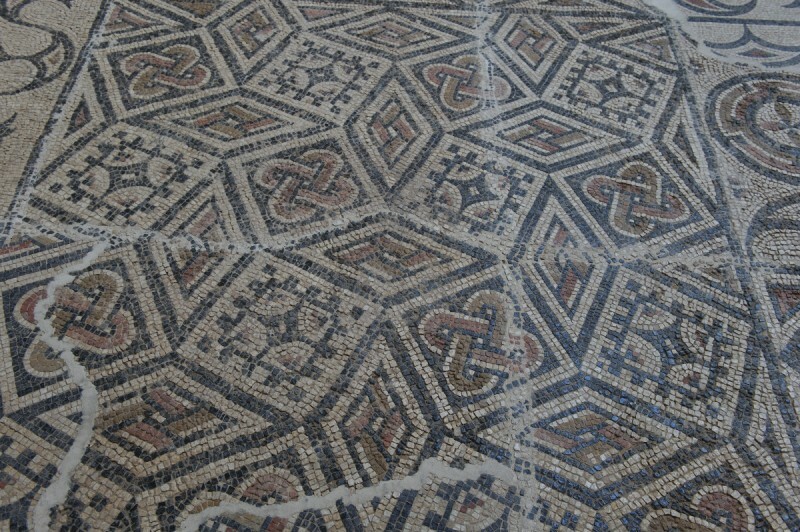 The whole of the area was occupied by Roman “villas”, which left behind them an impressive archaeological legacy. These “villas” were centres of agricultural exploitation devoted to both crops and cattle, and were generally located, naturally enough, in rural areas. Among the relics found on the sites of the villas in Jumilla are a bronze statue of the god Hypnos and the mosaics of the Villa de los Cipreses, which was a crop and cattle farming concern and the residence of important landowners and is a clear example of the process of Romanization in the north of the Region of Murcia. During this period there is ample evidence that grapes were still cultivated for the production of wine, as indeed they were in almost all parts of the Roman Empire. 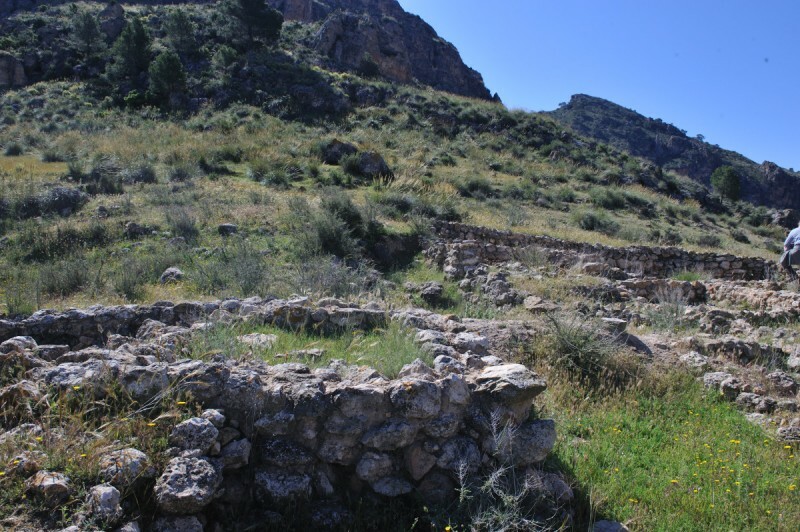 It is worth noting at this point that in the centre of Jumilla there is one monument which has survived intact since the 5th century AD: this is “El Casón”, the only building of its age which still remains without repair in the whole of the Region of Murcia. El Casón is a Paleo-Christian funeral structure in the shape of a Greek cross, with three small apses and an entrance arch. The materials used in its construction are mortar mixed with ceramics and unworked stone, and it was declared a cultural heritage site as long ago as 1931, since when it has been officially protected. In 711 AD the Moors arrived in the Iberian peninsula, and two years later the Pact of Tudmir was signed between the Moors and the Goths, handing over the old province of Cartagena to Abd el Aziz. Jumilla (known as Ğumalla) was included in the territory now under Moorish rule, and on their route inland the troops of Abd el Aziz passed through the area and made use of the fortifications which already existed on the hill to create their own fortress: this was the forerunner of the castle which can be seen today, and occupied the same site. During the centuries of Moorish rule it is likely that wine production came to a halt, but that as in other areas of Spain grapes were still cultivated for eating and for making juice with no alcohol content. By the middle of the 13th century the Taifas (or Moorish kingdoms) of south-east Spain were governed by Aben Hud, but he was under threat from the troops of both Fernando III of Castilla and the Moorish king of Granada, Aben Alhamar. This pressure led to the king of Murcia making a pact with Prince Alfonso of Castilla, later King Alfonso X “El Sabio”, under the terms of which Fernando III agreed to respect the lives and possessions of the Moorish inhabitants of Murcia. The document, the Treaty of Alcaraz, was signed in 1243, and by means of it Jumilla, like the rest of the kingdom of Murcia, now came under the control of the Crown of Castile. Once king, Alfonso X paid a visit to Jumilla, and one visible remnant of his visit is a part of the Iglesia de Santa María de Gracia, which the Castilian King ordered to be built next to the castle. 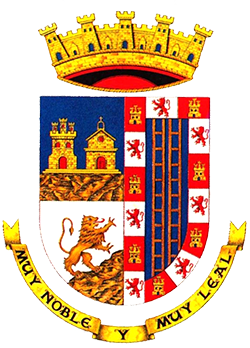 Since 1983 the church has been included on Jumilla’s official coat of arms. After Alfonso’s death in 1284 there was a power struggle among the pretenders to the throne of Castile, and the Crown of Aragón took advantage of the confusion to invade the kingdom of Murcia. Jumilla fell to the troops of Aragón around the turn of the century, and it was under Aragonese rule that the first known document devoted exclusively to Jumilla was written: this is the “Carta de amojonamiento del término de Jumilla”, and describes the limits of the town’s boundaries. 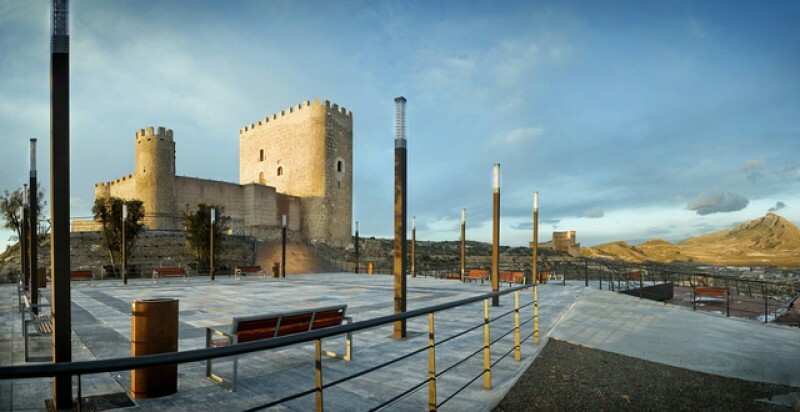 By the mid-14th century, still under Aragonese rule, Jumilla had become a frontier town on the border between the lands owned by Aragón and Castile, and this precarious situation required strong government. Such leadership was provided by Pedro de Maza y Linaza on behalf of the Crown of Aragón, but the inhabitants of the town asked King Pedro I for help in freeing themselves from the yoke of Aragonese rule and returning to the Crown of Castile, and Prince Fabrique, the son of the king of Castile, brought Jumilla back into the kingdom of Castile in 1357. In 1411 San Vicente Ferrer arrived in the town to preach his faith, and his visit moved the inhabitants to undertake the construction of various religious buildings, among them the Iglesia de Santa María del Arrabal and the Iglesia del Rosario. During this post-Reconquista period (although Granada was still under Moorish rule until 1492) there was less trading with other parts of the Iberian Peninsula, and although grapes were grown here and wine was produced it can be surmised that most of it was for consumption by the local population. In 1445 the town came into the possessions of Don Juan Pacheco, the Marquis of Villena, despite the initial protests of the local inhabitants: the Concejo (council) had been fighting for years to maintain Jumilla’s status as a direct dependency of the Crown, but at the end of 1452 they were forced to recognize the authority of their new lord. Initially they resented the arrival of the Marquis, but before long their anger turned to gratitude as an era of growth and progress was ushered in. The Marquises of Villena encouraged agriculture, trade and religion, adding their support to the religious buildings which had been started earlier in the century. After many years the Iglesia de Santiago was completed, and little by little the population abandoned the refuge of the castle, which Juan Pacheco had had rebuilt in 1461, as they grew accustomed to the fact that there was no longer any danger of Moorish raids. It was at this point that they came down to the plain where the modern-day town now lies, although up on the hill there remained two vestiges of the ups and downs of Jumilla during the Early Middle Ages: the Torre del Homenaje (or keep) of the castle and the Iglesia de Santa María de Gracia. The Marquises of Villena promised to the Concejo that they would continue to respect certain privileges of the town: the Concejo would be allowed to make its own decisions, the inhabitants would have the same rights and privileges as those in the rest of the land owned and managed by the Marquises, the town boundaries would remain unaltered, no tributes would have to be paid to the commander of the castle, and the Marquises would defend the interests of the town in all negotiations regarding taxes to be paid to the monarchy. However, the Marquis was able to decide who would occupy the higher posts on the Concejo, thus exercising a large degree of control over the running of the town’s affairs. Even so, care was taken to maintain a balance of power between the Marquis and the most important residents of Jumilla. Another privilege held by the Marquis was the right to intervene in any political matter, and in this way the family played a large part in the agricultural, social and financial policies of the town over a period of centuries. It was mainly the protective attitude of the Marquises of Villena which ensured that for Jumilla the widespread crisis of the 17th and 18th centuries was less disastrous than for other parts of the Region of Murcia. Some of this good fortune, though, was also owed to the decision to offer support to Felipe V of Borbón in the War of Succession (1701-14) after the death of Carlos II, as after Felipe’s victory the town was recompensed during the rest of the 18th century. At this time two illustrious individuals were born in Jumilla: Juan Lozano y Lozano, later to become the Archbishop of the diocese of Palermo and Viceroy of the kingdom of Naples, and Juan Lozano y Santa, a historian and translator who became Canon of Sigüenza and Murcia. Eventually, the dominance of the House of Villena in Jumilla ended when the feudal lordships were abolished during the 19th century. It was written by the Marquis in 1806 that the intentions of the family had always been to respect the law and to appoint administrators who carried out their duties with a sense of justice, and that the weaknesses and intrigues in the town of Jumilla were an inevitability, as was shown by the fact that they existed in equal or greater measure in towns which depended directly on the Crown itself. This is a fair reflection of the rule of the Marquises, who had not over-exploited their privileges to the detriment of the town, as was the case of the lords of other parts of the Region. During these 200 years there was still only a little wine production in the area of Jumilla, although there are still presses and other wine-making implements which have been preserved over the centuries. However, activity was increasing, and the Murcia cathedral chapter archives of 1667 make reference to wine being part of the goods paid in lieu of tax to the authorities by the people of Jumilla. The early part of the 19th century was marked in the whole of Spain by the invasion of French troops and the subsequent War of Independence. In Jumilla a “Junta de Defensa” was formed, but the clergy criticized it for being too sympathetic towards the French, and soon took it over. The troops of Jumilla fought valiantly and the French were forced to withdraw, although not before they had sacked the surrounding countryside. 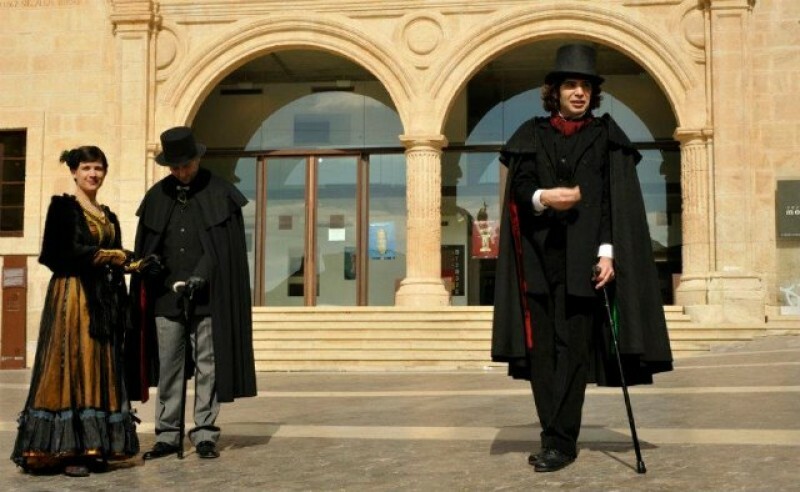 After the war, in the reign of Fernando VII, there was no immediate return to stability in the political life of Jumilla: there were still many supporters of Carlos de Borbón, and these were a constant thorn in the side of the Town Hall, provoking numerous revolts. From the mid-19th century until the 1930s Jumilla was divided politically, but in economic terms there was steady growth, mainly due to the increasing importance of wine production in the area. Many of the vines in the rest of Europe were destroyed by the Phylloxera plague which arrived in the continent from America, and as a result areas such as Jumilla, where the insects did not prosper, experienced a huge increase in demand. Production grew accordingly, and this provided the stimulus for Jumilla’s growth. At the same time, new land laws contributed to the emergence of rural smallholdings in the vineyards, as they allowed tenant farmers to build on the plots they worked. Meanwhile, the political debates in the town brought about the creation of various local bulletins, periodicals and newspapers. In these publications many of the most important figures in Jumilla’s literature published their first articles, including Pedro Jiménez López, Albano Martínez Molina and Sebastián Cutillas y Cutillas. This increased interest in the world of letters and literature and buildings such as the Teatro Vico were built, as a newly prosperous Jumilla was reflected in the architecture of the town. Despite all the progress and growth in Jumilla, there was still unrest among the inhabitants. 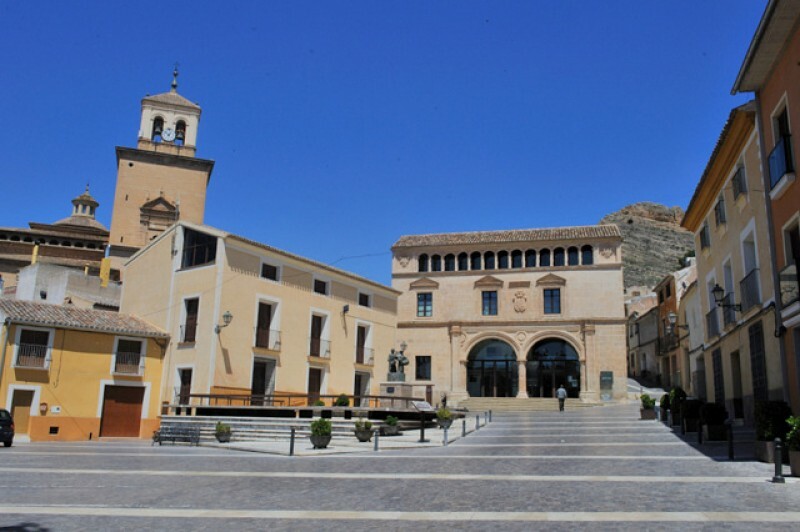 In the early years of the century the locals stormed the Town Hall in protest at high levels of taxation, and as a result of these acts of revolt, on 17th July 1911 King Alfonso XIII named Jumilla a city, also giving the Ayuntamiento the title of “Excelentísimo”. The Civil War (1936-39) was a dark period for both the town and the municipality as a whole, but after Franco’s triumph there was a new period of economic growth, fuelled mainly by esparto grass, cereal production and, of course, wine. 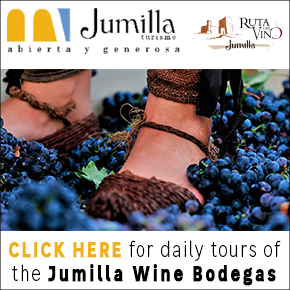 Nowadays the economy of the municipality of Jumilla still relies heavily on wine. In the middle of the last century money was spent on research into the whole process of grape selection and wine production in order to produce higher quality, and in 1966 Jumilla wine was awarded Denomination of Origin status. 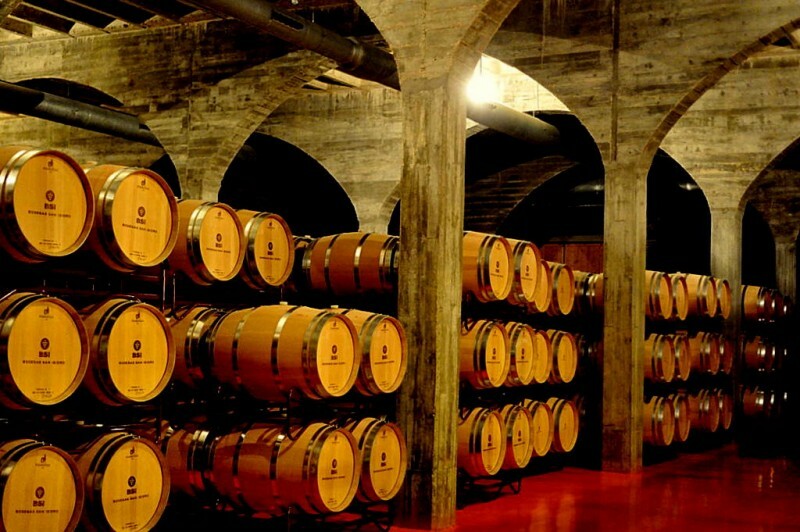 During the 1990s and early 2000s a further increase in prestige was achieved, and due to the activities of companies like J. García Carrión, Bodegas San Isidro, Casa de la Ermita and dozens more, Jumilla’s wine now has a fine reputation all over the world, carrying the town’s name to all corners of the globe. At the same time, grapes are not the only crop grown in Jumilla by any means: olive oil is often produced at the same plants as wine, cereal crops are widespread both here and in Yecla, and fruit trees also thrive: these crops include apricots, peaches, plums, nectarines and cherries, and the pears of Jumilla are well-known for their quality all over Spain. Alongside all of this agriculture, the landscape of many parts of Jumilla has also changed in the early years of the 21st century, as large solar power and wind power farms have been installed in the tenth largest municipality of Spain in terms of geographical area, harnessing the natural assets of the climate and landscape.